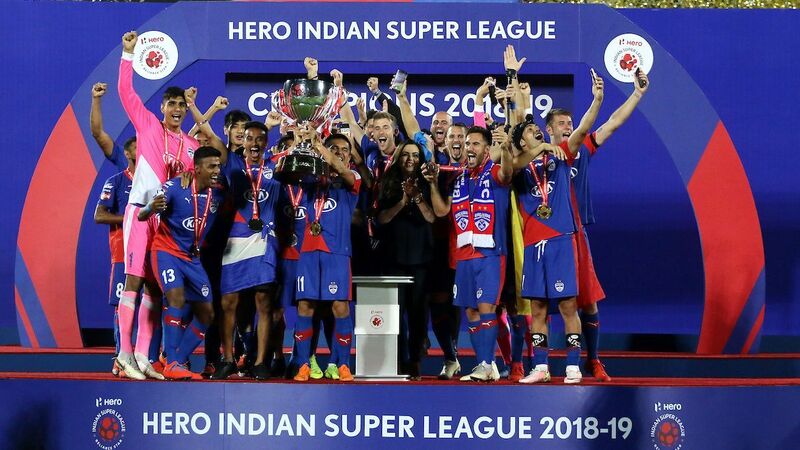 Bengaluru FC (BFC) made the biggest statement in the past week of the Indian Super League (ISL), becoming the first team to confirm their playoff berth. 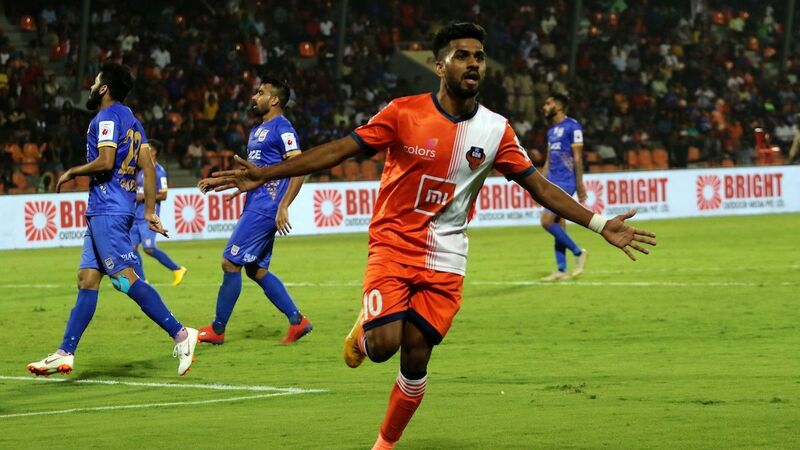 Chennaiyin FC and FC Goa both find themselves with some work to do before they can join Bengaluru, while this season's biggest draw as player finally got on the score sheet, and did so in some style. 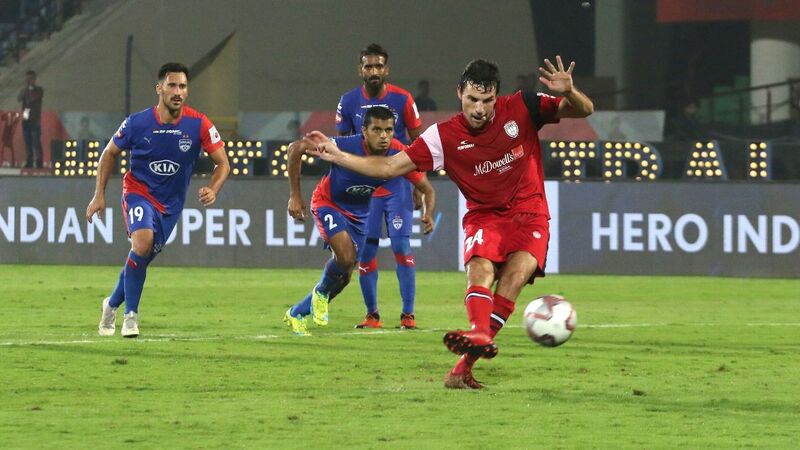 ATK played a thrilling but scrappy 2-2 draw against Kerala Blasters, bringing interim coach Ashley Westwood his first points since taking over from Teddy Sheringham. The first half saw the teams trade goals through deflections. There was nothing fortuitous about Dimitar Berbatov's goal that gave Kerala Blasters a 2-1 advantage. Picking up a ball that bounced into his path, Berbatov lined his body perfectly and then took a sumptuous first-time shot with his right, directing the ball on his command into the bottom left corner of Soram Poirei's net. There were just a handful of Kerala supporters at the Salt Lake Stadium, and some took their yellow jerseys off and waved them deliriously in the air. The problem for Kerala has been not just Berbatov's lack of goals, but also his lack of game time. 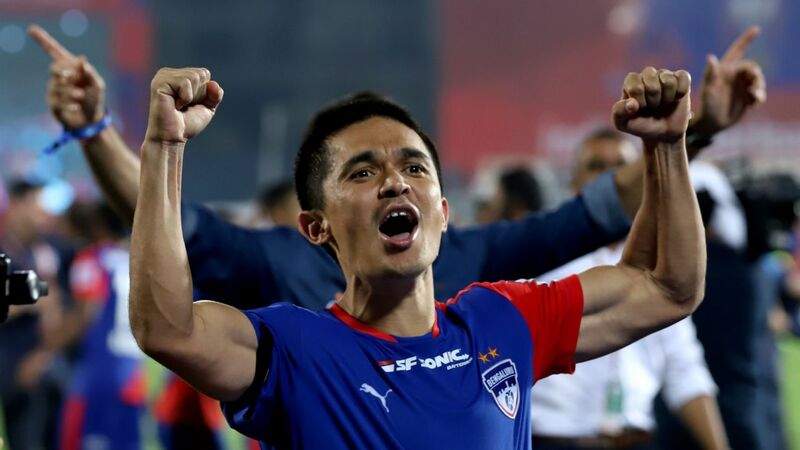 Injuries have restricted his starts to just seven, and the match against ATK marked his second game in February, his average right through the first four months of the league. With the race to the top four still alive, coach David James must hope for a bigger role from his key player, whose quality itself can inspire his teammates. 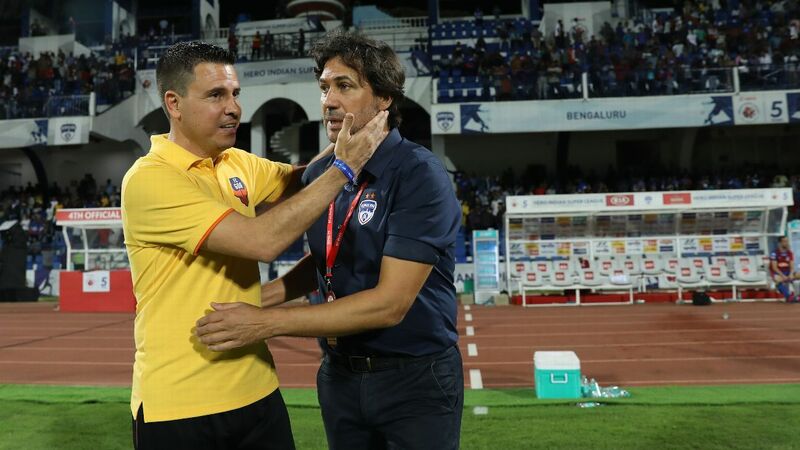 BFC exacted two revenges for past defeats over the last week - beating Chennaiyin FC 3-1 away and then FC Goa 2-0 at home - to book their berth in the last four with three matches left to play. One moment in the fourth minute of injury time during the Chennaiyin game summed up just how driven this BFC team is. Sunil Chhetri gestured to goalkeeper Gurpreet Sandhu to get the goal kick long and out wide on the right. 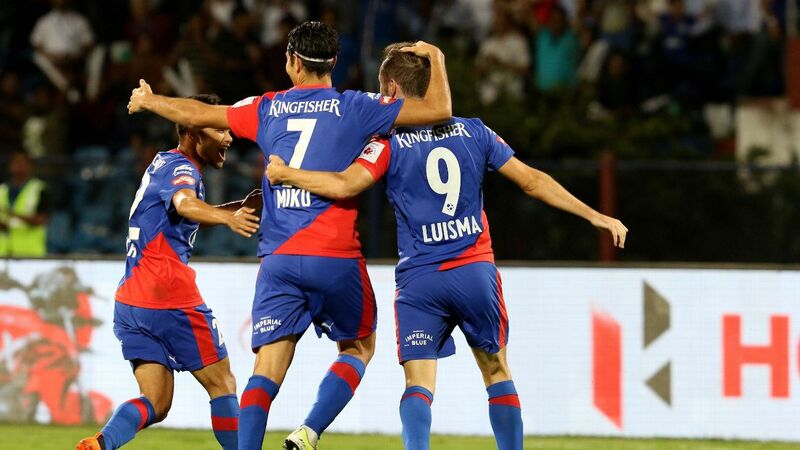 Sandhu did as told, and some pressure forced a poor back pass towards Karanjit Singh in the Chennaiyin goal. Udanta took a brave punt on getting to the ball before Karanjit and was able to get it into the path of Chhetri, who held his nerve and scored. It looked easy, but required clarity of thought, courage and willing bodies to execute. 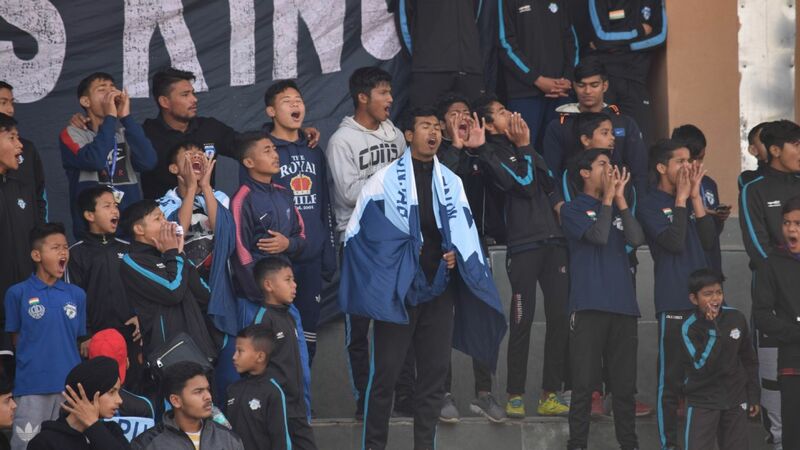 In a week in which Indian national team Stephen Constantine's contract is likely to get extended till the Asian Cup, one department he would be impressed with is the goalkeeping. Sandhu had a good two games, which included a confident penalty save off Jeje Lalpekhlua in Chennai. Subrata Pal briefly overtook Vishal Kaith, who had a clean sheet in a midweek win for FC Pune City, in the Golden Glove standings with a fine performance in a 1-0 home win for Jamshedpur FC where visitors NorthEast United outshot them 13 to nine. Kaith was back on top with another clean sheet, as Pune travelled to Mumbai City and had to withstand plenty of pressure in defence before emerging 2-0 winners. The best save of the night was a one-handed effort with his left glove, after a Balwant Singh shot had taken a deflection off Gurtej Singh's thighs and was threatening to sneak in through the near post. 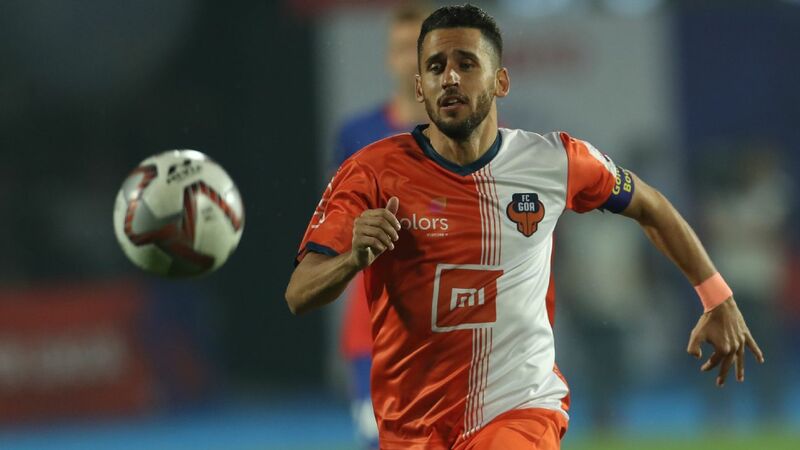 From a team that struggled to get goals early in the season, Jamshedpur notched up their fourth win in five matches against NorthEast United, and had a freak show of athleticism by Wellington Priori to thank for it. A long throw into the NorthEast box was half-controlled by Priori with his thigh, and in the same motion he whipped his right leg over his shoulder with his back to Rehnesh Paramba to dunk the ball deep into Rehnesh's far post. It was the speed at which everything happened that made this a goalkeeper's worst nightmare.